I have been in the business of supplying engagement and wedding rings for over 20 years and have many, many happy customers. I do not have a shop so my overheads are low and I don’t need to ‘mark up’ the usual profit that some companies make. Every client of mine is different and therefore has different needs. Some have a decent amount of money to spend, some are on a tight budget, each one is as important as the other. I will sit down and discuss what you have in mind and then work out how much it should come to. If it is out of the budget we can then look at saving money in different ways ie; could the stone be smaller, could we use a cheaper metal - 9ct instead of 18ct? I don’t keep stock of anything, but all stones and metals are available to me. 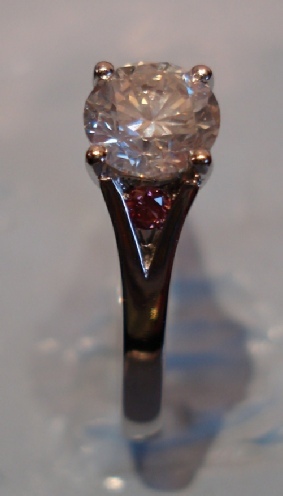 My setter (who puts the stones in) is an award winning setter based in Hatton Garden, London and I have access to any size, colour, clarity of stone that you might want. My job is to make the whole process as easy and painless as possible. Basically - it boils down to how much budget you have and what can we get you for that amount of money! When you want to pop the question? Give yourself plenty of time as it can take up to 3 months to make an engagement ring and you don’t want to rush the whole thing. It is not possible to do anything on this until we have a size, remember that you are not going to a shop where you can change it if it is not the right size. The size can be altered, however, you do not want to give them the ring only to take it away to have it made a different size! 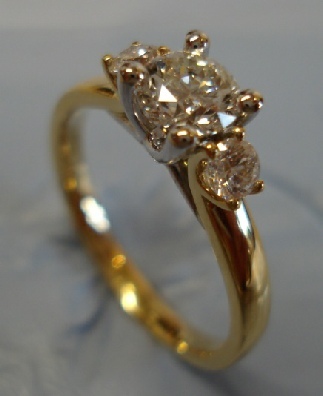 Are you thinking of proposing to your partner and need a ring? Are you confused and worried about where to start to buy a ring? What sort of ring should I buy? I know nothing about diamonds how do I buy one? Give me a call on 01507 463130 or send me an email and we can arrange a free No obligation meeting to have a chat about what you have in mind. Ok, you are now ready to start talking to me about what you would like. You need to call me on 01507 463130 and we can arrange a day and time when you can come and see me. You will come to my house and we can have a cup of tea and discuss what you have in mind for your ideal ring. I will not be in a position to give you a price at this time until we know what the design will be, however, I will be able to tell you if I think that your idea and budget may work. If you do not have any idea of what design you may want, do not worry! I have lots of pictures and will hopefully be able to come up with some sort of idea by the time you leave. Once we have an idea of what you might like, I can start to work out how to make it for the right money. You may need to pay a deposit especially if we are going to use CAD or I am going to make a mock up (Handmade Bespoke). This deposit will be non refundable but will go towards the cost of the final ring. You will not need to pay this deposit at the first meeting. 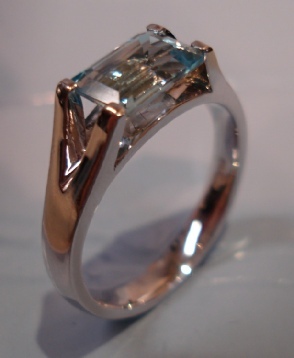 Once the design has been finalised you will need to pay a further deposit towards the cost of starting the ring. These deposits can be done by bank transfer and you will get a receipt stating how much you have paid, how much the ring will cost and what the balance on completion will be. The final payment will be on collection and is usually paid in cash. I do not have facilities for cards as this would put up the price again.